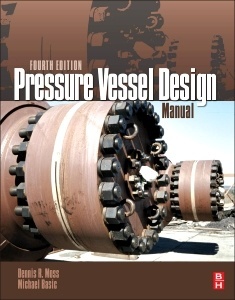 Pressure Vessel Design Manual Moss Dennis R., Basic Michael M.
Auteurs : Moss Dennis R., Basic Michael M.
Entry and mid-level Mechanical Engineers who specify, design, operate, install, inspect or manufacture pressure vessels and related equipment in a process, chemical, civil, petroleum or nuclear engineering setting; Pressure Vessel Design Engineers, Reliability Engineers, Fixed or Principal Equipment Engineers, Maintenance Engineers, and Piping Engineers. Michael Basic has nearly a decade of experience in the design of pressure vessels, storage tanks, and other related equipment. He is a Registered Professional Engineer in the state of California and currently works for Fluor in southern California.